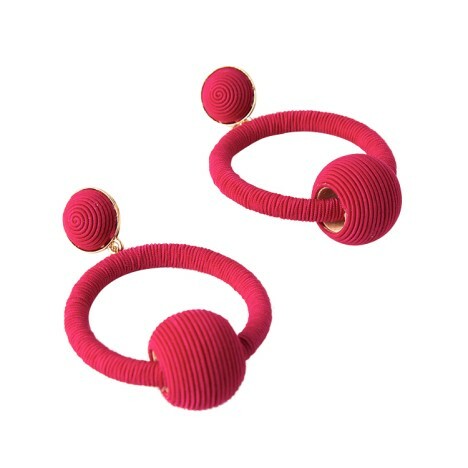 Add a splash of colour to everyday looks with these fun statement earrings by Adorne! Perfect for daytime looks or date night outfits, the playful earrings feature a ball drop design with intersecting twine rings in various sizes for added contrast. Rock these earrings with a classic wrap dress for a chic daytime look or dress them up for date night with a hired black jumpsuit. Read our blog post for some makeup ideas to try for your next date night!